This is most of the ‘collection’, but not quite all of it. There has been so much excitement about my creative abilities, and even more demand. 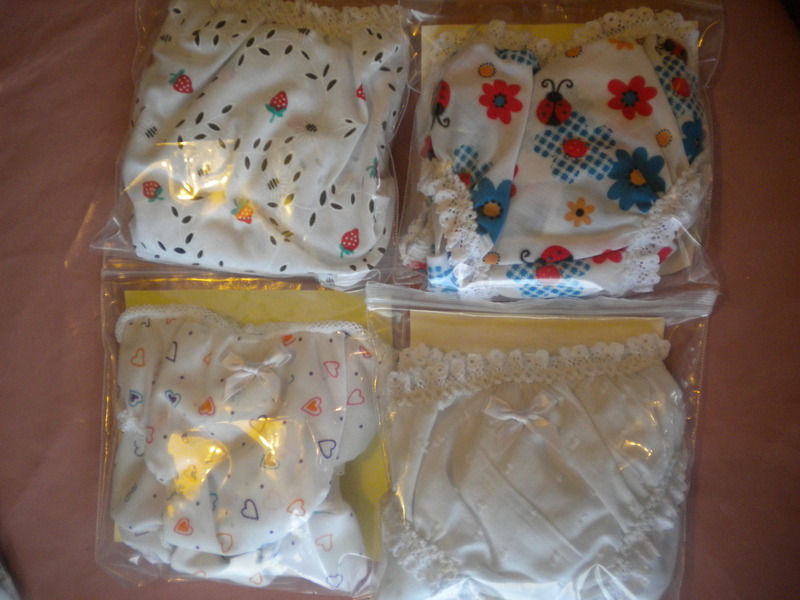 But the underwear world should not get its knickers in a twist about a potential new entrant – even though the knickers are now quite quick to make, they are not necessarily cheap to make, and would cost quite a lot in the market place if a small business was to generate a living wage. I even have an offer of labour for the making of more product. The fun is in selecting the materials, and combining the elements into new and varied forms, and then seeing people’s faces when they are gifted my wares. That would be enormously diminished if I had a team doing the work -especially as that team would be over 100 miles from where I live. The packaging is important. Without it, the product wold not have a record of its size. I cut out the template and immediately write the size on the back of the cover label. When the goods are finished, I photograph them and print the picture onto the front of the label, and insert it all into a little bag. Then I have to guess my friends’ sizes. From the feedback so far, it would seem that I have been largely correct! And it doesn’t stop at Christmas. I have requests for more, and a request for boxer shorts as the men felt that they were missing out. That’ll be challenging trying to work out the sizing! Keep watching this space. 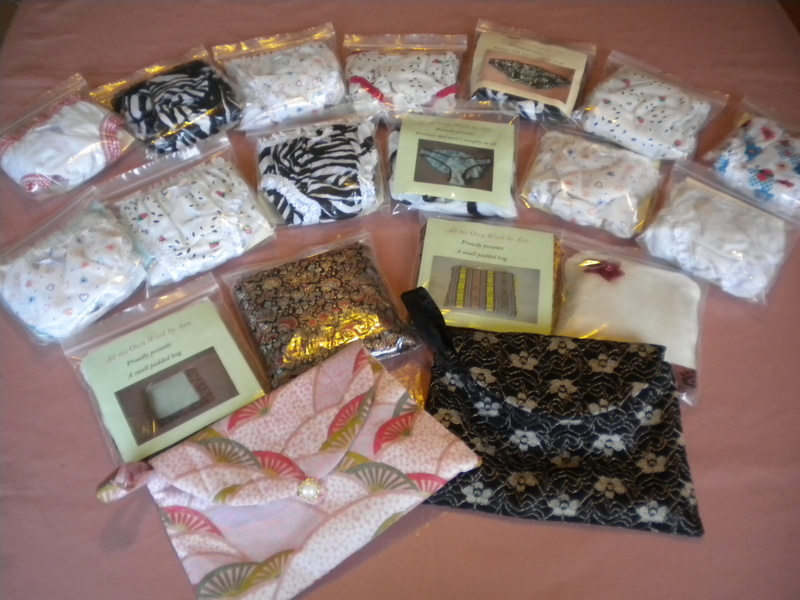 This entry was posted on December 27, 2013 by ann hebden in Gifts, Sewing and tagged gifts, Sewing.